Players who don’t take your game seriously can kill a campaign. You’re struggling to create a vibe, atmosphere, and theme. But when the table ignores that and cracks jokes during horror adventures or breaks immersion with real world chatter, you get frustrated. I asked RPT readers for advice on what to do when players don’t take your efforts and game seriously. Here’s their advice for you. I have never had too much of a problem handling players when they start to joke around too much. I always try to make sure the players are either in character or out of character when they say or do something. I find that most people can joke around and then turn serious as long as there is a noticeable division between when each is appropriate. Sometimes it does get carried away, and that’s not a problem, either. Sure, it’s a little disappointing to see the adventure you spent hours creating ‘getting laughed at’, but at times like these, it’s best to just roll with the punches. This is where winging it comes into play. Chances are, if they are joking around, you they aren’t paying too much attention to subtleties and they are likely to do off the wall things anyway, so just DM them through their rambunctious rampage, then return to your regular flavor next session. You may still get to run your masterpiece the way you intended, if you don’t try and force them to play it when they are not in the mood. A good GM develops a feel for the style of game his group likes to play, and designs adventures that fit that theme. Of course, not every group meshes well, and if that’s the case, maybe it’s time to find a new group, or a new role for yourself in the group. I’ve had to do that recently myself, with the advent of 3rd Ed. D&D. One group was stuck in their ways, while the other was eager to try it (well, more eager than the other, anyway). Above all, make sure you’re providing the players what they want. In fact, provide them with what they want and a little more. That is, if they want hack and slash, give them h-‘n’-s with plot hooks. If they like story development, give them political intrigue, with h-‘n’-s and a pretty face for good measure. Of course, more than anything, don’t act out of spite. Remember, also, that you’re all there to have a good time. If you simply aren’t in the mood to roleplay, do something else. There’s nothing wrong with putting away a game and changing plans. This is preferable to forcing an evening on players. Whilst I think I agree with a lot of what Robin was getting at in the last article, I personally look at the problem of non-serious players a little differently. The following ideas don’t work perfectly, but they’re what I’m currently experimenting with. Why are they being silly? The first thing I like to do when my players become silly at the wrong moment is to ask myself why they’re doing it. Getting silly in a serious game is a sign that the players have disengaged with your game, and are not willing to keep roleplaying intensely. This could be for a number of different reasons, but I can think of three major ones that crop up regularly. The players are probably either bored, frustrated, or getting stressed by the intensity. What’s been happening in the game recently? Has it been more dry and static than usual? When players get bored they find other ways of amusing themselves (like telling each other jokes, or treating the game as a comedy when it isn’t). Try to find out what sorts of things your players find interesting (it will be different for everyone, and will change over time) and make sure this type of thing turns up with reasonable regularity. With reference to Robin’s article, this is where you would throw in the combat (if your group likes combat that is! ), but I would be wary of giving players a puzzle or maze in this type of circumstance, it will probably be too dry to interest them while bored (unless of course your group loves puzzles). Remember, plot should *move*, it doesn’t have to be physical action, but the story must advance. In writing courses they tell you that a static plot is boring and won’t sell. I think the same goes for roleplaying. Have they been having no success, getting beaten around by their enemies and can’t see how to get what they want? No matter how easy you might think your plot is to follow, your players might be having trouble working out what to do. Or maybe you’ve been hitting them pretty hard with defeat recently, usually not a problem, but sometimes it can go too far. 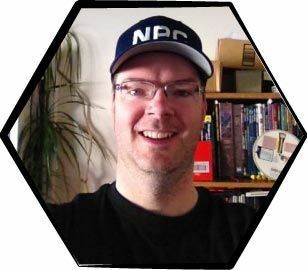 Look at what kinds of comments your players/characters are making about the story – if they are being really negative, then perhaps they are getting frustrated. At this point it might be an idea to let them succeed at something, it doesn’t have to be main plot, in fact it can be trivial, like catching the street urchin who just picked their pocket. You want them to work for victory, but remember to occasionally break up the hard work with something a bit brighter. Are they Stressed by the Intensity? This is probably more of an issue with “angst roleplaying” but it’s worth thinking about for any sort of game. Has the game been really heavy and harsh recently? Some players will just eat it up and ask for more, but others will want to occasionally break up the deep emotions with something positive. Have something nice happen. Or something trivial might take up their attention for a while. Maybe insert some action (of course, constant action with no roleplaying can frustrate players just as much as too much heaviness), or something a little silly (work with their comic mood). As far as I can see, silliness is a sign that something is stopping your players from having fun with the game, so they’re looking for their own way of entertaining themselves or lightening the mood. At this point it is very important to know what your players want. If throwing something immediately engaging at them doesn’t work, maybe it’s time to talk about what sort of things they want to experience with their characters. (Johnn’s idea of finding out what their hobbies and favourite movies/books are works wonders, try mimicking the feel of those movies and watch your players wake up). One thing I would be extremely wary of is punishing or withholding reward from your players for their silliness. You should definitely reward behaviour that you like, but removing reward when they get silly can risk sending your game into a vicious circle. It goes like this – your players are bored/frustrated/harshed out and so they become silly in an effort to have fun. You then pull back on the rewards, your game becomes more harsh/frustrating/boring, and the players disengage even further from what is becoming an increasingly annoying game. Punishment only seems to work when the players are engaged and having fun, if they’re already annoyed, you’ll only annoy them further. If you’re getting too pissed off to be nice to them, take a break, let them be silly for half an hour, while you calm down and get re-inspired. Then tell them all to shut up and firmly restart the game with something as interesting and positive as you can make it, given what you know about the player’s interests. Finally, on a similar note, maybe everyone is just in a silly mood. Take the time out to enjoy it, and get back to the game when everyone is calming down. Try to enjoy it yourself, instead of getting cross. Let the players fart around until they are asking to start again – it usually doesn’t take as long as you’d think! I think the point to remember is that different players want different things from gaming. Find out what this is (good luck!) and then give it to them in a way that fits with your campaign. Remember that the point for everyone involved is to HAVE FUN. Hey, Johnn. First, congratulations on the excellent work on your newsletter: it keeps getting better every time! The game just isn’t the player’s cup of tea. If your players enjoy only fantasy, it’s useless to try to GM a super hero campaign, they’ll get bored and find something else to do. This happened to a friend of mine who was GMing a “Buffy”-like campaign. Everybody loved it, but one player just couldn’t stand rp-ing a 16-year-old highschool student. So he made jokes and ruined the mood for everyone. The solution was to talk to the player and ask if he wouldn’t rather sit this one game out, as he wasn’t having any fun anyway. If NONE of the players like the style of the campaign, then you should find another group just for this one campaign, or GM something else. Just remember to keep it friendly: do not throw the player out, talk with him and ask if he wouldn’t rather leave. The players have too much to talk about. I have this problem every time I DM. My players are all close friends (among themselves and with me) but they are all very busy so they meet only in game nights. So they have so much to talk about or are just so glad to meet each other again that they want to talk out of character, they want to talk to the players, not the characters. This can be solved by scheduling the game right after you all go out and spend the night conversing. The in-game atmosphere will be much better anyway, because of the friendly mood that will be present. The players see something funny that you didn’t. When they start laughing or cracking jokes, just ask them what’s so funny. Maybe you quoted a movie or book by accident or committed some sort of misspelling, or maybe something you found exciting or serious struck them as ridiculous. If they explain it to you, maybe you’ll all end up laughing together. Of course, this won’t help with the mood, but at least they will be laughing WITH you, not AT you. Also, it can lead to some constructive criticism that can lead to improving the game (believe me, it happened). I’ve seen it happen, sometimes a player just wants to ruin the game on purpose. This can be out of jealousy, or something the player holds a grudge for. The solution is talking.You have to find out what the player’s reasons are.Sadly, in most cases the solution for this is removing the player. When the player disrupts the mood, punish him and let he know it! In a Fuzion campaign (where we got very few XP, so every one of them was precious) the GM had a small chart with all the players’ names. Every time one of us told a joke, he made a mark beside the respective name(s) and said “you, one less XP”. This kept everybody serious, as we couldn’t afford losing many XP. When I DM Saga (a RPG that uses cards instead of dice) I take a card of the player’s hand each time he or she tells a joke. The less serious PCs become thus “cripples” until they redeem themselves. Make everything the players say “in-game”. If a player tells a joke, then the characters told the joke too. If it was before the King during the PC’s knighting, so be it. Let the NPCs react to the jokes, becoming exasperated or shocked or even amused! This is guaranteed to keep’em serious (after all, who wants to lose a 19-level character because he made a joke about the Queen in front of her entire army?). Humor is part of the roleplaying experience. It’s not for every single moment, but suspense and drama aren’t either. Sometimes the players NEED a break, they NEED to crack a small joke, they NEED to talk out of character a little bit. Let’em. You’ll find out that if they’re comfortable with this, they’ll naturally revert to seriousness. Also, some players need this more than others. I had a group where one of the best players (someone with whom I had roleplayed many many times) was completely apathetic. When pressed as to why, he said that the group is “too serious”. Now, this guy didn’t use to tell jokes or disrupt the mood, but he needed a more carefree atmosphere. The rest of the players, on the other hand (myself included) enjoyed dark, tense, heavy roleplaying with no jokes (or almost no jokes). Each player has his own style and we should respect them all. That’s it, hope to have helped with this overly common problem. Wanna wake someone up, maybe slap them around a bit? I run Mechwarrior/Battletech. If you have an appropriately Machiavellian atmosphere, where no one’s sure who the bad guy is, even open combat becomes more interesting. Bad guys can finger complete innocents, then use the time that the good guys are trampling about to prepare for their eventual return. And, if all else fails, call in a sniper. *g* Nothing snaps them back into character like a rifle shot in the thigh. When I have run into situations like this, I essentially shelve the current game and break out Tales From the Floating Vagabond (or you could use something like Toon also). If the players want to be in a silly mood, I give them a game tailored for it. Everyone is there to have a good time and as a DM, if I’m the only one wanting to play a particular game, it’s not fair to ram it down on the other players. I have found that taking a break from an ongoing campaign with something lighter, like TFFV, is a great way to refresh interest in the main campaign. It gets the silliness out for future sessions. You know, this very situation happened to me on our gaming session last Saturday. The players just wouldn’t settle down. A deep silence descended on the table. Everyone was suddenly very quiet, a troubled look on their faces. They know me, they know I wouldn’t tell them that if it wasn’t true. We started playing and, a few minutes later, most of the party was stunned by a couple of mind flayers. The adventure almost ended there and then. Thanks for the very entertaining and useful tips! I remember a game you were running where the party was trapped in a room with a short fellow (a gnome perhaps) who was quite content to sit with the party for the rest of eternity in that room. We tried everything we could think of to get out of that room. We looked for secret handles and hidden doors. We fired magic at the way we came into the room. We began to chisel with an iron spike (that someone always has). We asked our host, we asked the heavens. The results were all the same – we weren’t getting out of this room. After a while the players began to get restless and the characters started to push around the host hoping to intimidate the fellow into releasing us. Then we tried trashing the room – ripping pillows, breaking chairs, etc. Still nothing. At this point the players were frustrated with the fact that we weren’t getting anywhere – so the characters attacked the host. The host turned into an Ogre Magi (the short host was an illusion) and the fight was on. Our party won – we simply overpowered and overwhelmed the Ogre. If I recall, the Ogre had a key on his body which let us out of the room. Thinking back on this encounter, perhaps some guidance from our illustrious GM would have been in order. He may have been waiting for some key phrase or action by the characters that may have been obvious to an outsider but we were missing. Perhaps a dream, a vision, or some other form of indirect intervention could have kept things in the original mood. I had a HUGE problem (partly my fault) with a particular NPC not being taken seriously. He was the only son (18 years old) of an elderly Count, and wanted some adventure, but the Count wasn’t about to risk his only heir – a great rp opportunity as the father is outraged when the son runs off with the hired mercenaries (ie PC’s). Not to be. During an impassioned speech, the Count was trying to “convince” the son (in front of the PC’s) that he would be better off staying and learning how to run the domain. “One day, lad, all this will be yours!” exclaims the count, pointing out the window. Quick as a flash, a player quips “What, the curtains? ?” said in a quavering ‘nancy’ voice. Yep – I had unconsciously quoted the line from Monty Python and the Holy Grail, and the response (although very funny) ruined the atmosphere I was trying to build for the session. Ever since then, whenever the Count’s son was encountered, MP quotes would fly thick and fast, so I ended up killing the poor guy off ( I was hoping he would become an important NPC and contact for the PCs) Must admit, it WAS funny.